The items included in this Mothers Day gift guide were sent to me for inclusion. However, all opinions are my own and I only accepted products that I thought would be relevant. Copa de Balon glasses are ideal for drinking Gin from and these beautiful designs from a range of 12 Ginology glasses would make a perfect gift for any Gin lover. This glass is recommended hand wash only. Each glass is presented in a branded kraft gift box. I particularly love the Hummingbird design but the cherry blossom screams Spring! These glasses are available from Gift Giving All Wrapped Up. Whether you are looking for a card that is funny, sweet or laugh out loud rude, Love Layla have you covered. As well as every kind of card you could imagine, you will also find some fun and quirky gifts to accompany your card like this great badge and some hilarious gift wrap options! I think that most Mums would agree that there is not much that would beat a gift that makes their life easier. If the Mum in your life has a fussy eater then this is the gift for her! Written by a parent blogger, Emily, of the fabulous A Mummy Too blog Get Your Kids To Eat Anything is much more than a cookbook. 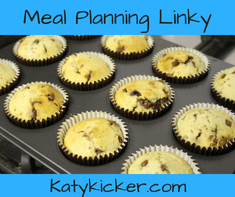 It is a 5 phase programme designed to help change your families whole approach to eating. Three mills wine is very, very nice. I am not a wine connoisseur by any means but I know what I like and I like this wine a lot. You may notice that there is a bottle of white and a rosé shown here. Where is the red? Well, I refer you to my first sentence.. I may have got a bit carried away. It;s lower alcohol than a lot of other wines so I had barely any hangover too and for an already pretty much broken Mother of 3 let me assure you that this is of grave importance. Plus it is way more wallet friendly than I expected at less than £5 a bottle from B&M and several good supermarkets. My Mum loves to read, not that she had too much free time to do it until recently. A book would make a great gift for her. Choosing a book as a gift is not an easy thing, I think you really have to know the recipient because it is such a personal gift. That makes a book such as Unscripted a lovely gift for Mothers day. If your Mum wouldn’t love a Yankee Candle, is she even a Mum though? My Mum has an addiction to these things. Something that as I am knocking 40 I can totally relate to! Luckily for all of us Candle lovers, Yankee has a ton of different scents (or “flavours” as my Mum would say) for every occasion. I am enamoured with their new range, it smells like spring! If your Mum often stands in front of the fridge wondering what the hell to cook (been there) then this is for her. New Kitchen Basics offers a refreshing array of simple but very tasty recipes. The author, Claire, dedicates the book to her Mum who taught her everything she now knows about food. The meals within these pages are clear, unfussy and original, they are inspiring. Just like Mums! The stress of dealing with your teenage angst BS greatly contributed to your Mothers aged face so do your bit! Treat mum to Skin Doctors’ award-winning day-to-night Potent. Vit. C and Potent. Vit. A single dose Ampoules, available in a collagen boosting Duo Pack. Each Vitamin A ampoule contains .5% pure retinol to help repair damaged skin cells, stimulate new cell growth and increase cell turnover. Vitamin C ampoules contain an antioxidant-rich, potent form of pure Vitamin C to speed up collagen synthesis and provide deep antioxidant protection and hydration. Use the Skin Doctors Potent Vit. C Ampoules in the morning to brighten, illuminate and awaken the skin with the velvety conditioning serum. At night apply the silky serum of the Skin Doctors Potent Vit. A Ampoules to restore, repair and refine the skin as you sleep. One for the tech fans, the Lenovo Smart Display is an ideal choice. Having a Lenovo Smart Display is like having your own personal assistant. The children and I really enjoy cooking together and we love the Tasty videos online. The Lenovo Smart Display makes it so easy! While the children are at school I also use it to play music while I work and as well as that we make video calls with it! It was easy to set up and it feels sturdy. I am sure it would make a great Mothers day gift! Critically Endangered Socks are a great gift for Mothers day. Made from a soft and sustainable blend of cotton and bamboo, each pair comes with an endangered animal fact sheet in a bespoke recyclable box. It looks like wine, you drink it like wine. But it is not wine. There is no alcohol in this drink and that makes it the perfect gift for Mums who like wine, but not hangovers! Walking is one of the best forms of low-impact exercises. But, when we walk a lot, we still put pressure on a feet ankles shins and knees. The 5 layered Sole is made of comfortable EVA material, used in top quality running shoes for high impact absorption. These layers, and extra-wide perfect-fit shape, reduce pressure and support your foot across the widest point and from heel to toe in a way that feels like you’re walking on air! The unique Walkmaxx sole design evenly distributes your weight and reduces pressure on the feet, joints, hips, and back. SEKSY Embrace, a dynamic and glamorous fragrance. Feminine, enchanting and seductive with top notes of orange blossom, blackcurrant and pear. The heart is very rich with iris, jasmine and patchouli. Tonka bean, vanilla and praline accord and musks create a deep and opulent finish. Presented in a lavishly designed 12-sided bottle embellished with a Swarovski® crystal and a detachable Swarovski® charm that can be added to your favourite jewellery. Treat your Mum to something sweet. Mum’s like to smell nice. This Mum HATES taking perfume bottles along on a trip. I was scarred for life after I once arrived at my hotel only to be greeted by a broken bottle. The perfume went all over my belongings. I really did smell like a branch of Boots on a Saturday afternoon after it has been invaded by groups of bored tweens. Twist and Spritz are designed to be a portable alternative to your full-size fragrance bottle. One of these would be so handy for your Mum to keep in her bag. A dashcam is essential these days. There are so many idiots on the road. So why not choose a practical gift for your Mum this Mother’s day? Why not surprise your Mum with a beautiful bouquet from Blossoming Gifts. The bouquet shown here is the Sweet Clementine. There is a massive choice of flowers and gifts on the website. I am happy to report that even a week after receiving these flowers they are still going strong! WEEK TEN?! WHAT?! 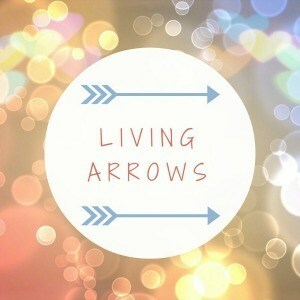 Living Arrows is something I haven’t joined in on for the last <cough> few weeks. To be honest, I find it really difficult sometimes to get out and doing stuff with the children – it really is all in my head. When I am not feeling my best we tend to stay in. It’s not fair on them but that’s what happens! If you would like to know more about Living Arrows or even get involved and join in then you can read about it here. Last week we managed to get outdoors and soak up some cloud rays. I would love to say Sun but I would be lying. It was really lovely to spend some time in the park with Bess and Moose. It’s rare that Bess is in a park kinda mood so we must have timed it right. The aerial slide has always been her absolute favourite thing to play on at the park. Ever since she was a little one. Moose just loves anything he can climb up and jump off. Tick those boxes and he is happy for hours. I wish we could have more park days. Sometimes I regret there being a large age gap between them. It was hardly something we planned though. That said, it’s lucky that Moose has so many cousins his own age and that they all actually enjoy each others company. I feel like we are very lucky in that respect.